Hardy, from USDA Zone 5. A very beautiful and unusual fern from the eastern United States, especially around Alabama. 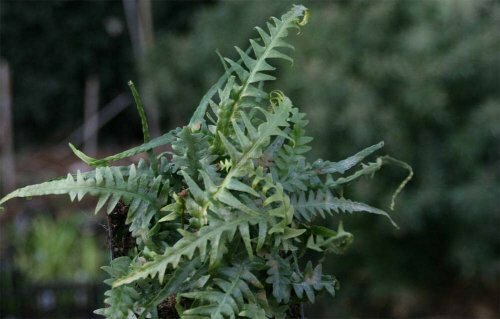 It is a naturally occurring hybrid of Asplenium platyneuron and the walking fern, Camptosorus rhizophyllus. It is a slow growing fern, preferring moist neutral to alkaline soil. They occasionally produce plantlets on the tips of the fronds, taking this characteristic from the Walking Fern.